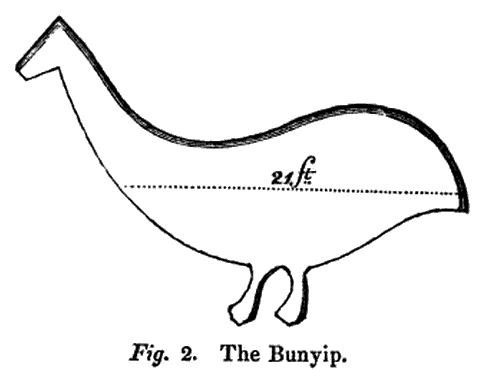 Illustration of a 'bunyip' outline in the turf near Challicum, Australia. This illustration is presumably by George Henry Wathen; it is presented in his 1855 book The Golden Colony. This copy of the image comes from Wathen's The Golden Colony (pg. 124), shared in the Google Books website [Link Here].